I have some exciting news to share! Morning Coffee and Truth has been nominated for the online Liebster Award, given to up and coming blogs! I was nominated by Kerai Kreative Style who has a gorgeous blog! She writes about plus size fashion, beauty and wellness. Thank you so much for the nomination! 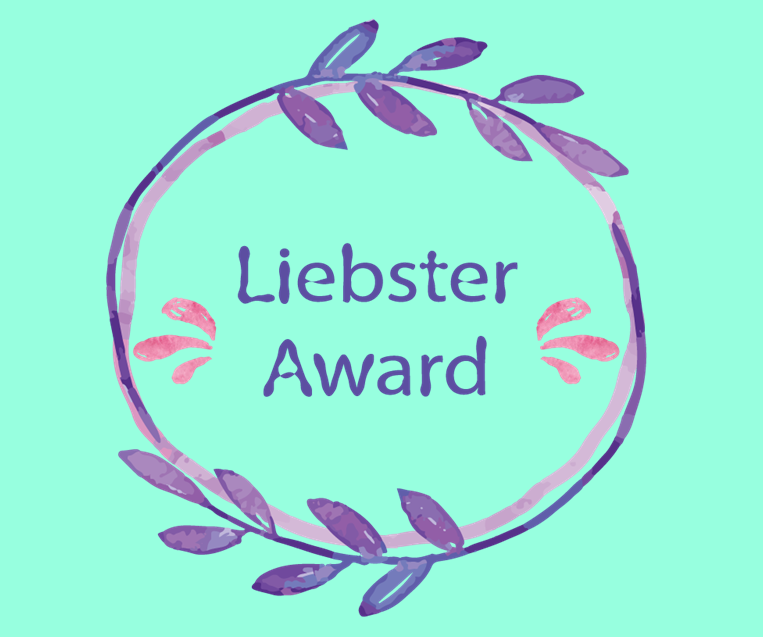 For this nomination, she posed 6 questions for me to write about and then I will pay it forward and nominate 5 up and coming blogs for the Liebster Award! I actually started my blog about 4 years ago when a co-worker and I were talking about a topic, and I was inspired to write about it! I didn’t really have a platform to share what I had written so she recommended that I start a blog! I was working at Starbucks at the time, and I had no internet at my apartment, so I would take my laptop with me to work and blog in the morning before my shift began. Thus the name “Morning Coffee and Truth” was born! (If you’d like to check out the post that inspired the birth of this blog, check God and the Yellow Umbrella here! I was watching How I met your Mother and got philosophical!) My blog kind of died for a few years, but in the last several months, I’ve redesigned the look and focus of it, and re-launched it! What would you tell someone that is thinking about becoming a blogger? Start today! It’s going to take a while to build a following, but inspiration waits for no one! Even if it’s just your family that reads your musings, write them down! Get them out in the world! You’ll look back and be glad that you started when you did! There’s a million reasons why you shouldn’t start, but none of them matter. Which influential Blogger inspires you daily? My blog’s focus has transitioned primarily to Bullet Journaling simply because it’s a tool that has really changed and aligned my life. That is largely in part to Kara Benz, a giant in the world of bullet journaling. Her blog Boho Berry is a huge inspiration! Is blogging a business or a hobby for you? For me, blogging is a “full-time hobby”. I don’t make a living off of blogging, but it takes up a lot of my free time. One day I’d love to be able to live off of my writing, but for now, I still have a full time job. Where do you see your blog in the next 5 years, and what makes your blog so different from the thousands that are out there? The blogging universe is ever growing. It’s huge and it’s saturated. I often wonder what makes my blog special. I think for me, what’s so important to my mission in my corner of the internet is that I strive to create a community. I’m active on Instagram and Facebook. I want to provide a place for people to come and discuss things and be there for each other. That’s what makes my blog special. My goals for the next 5 years is to continue to grow that community, both on the blog and on other social media platforms. Do you ever have writer’s block and how do you deal with it? I think every writer has writer’s block at some point. For a long time, I wasn’t consistent with creating content and would only post when the inspiration hit. Now that I post more regularly, it’s a little harder to come up with content. I will have spurts of creativity and inspiration at random times, so I try to write down all the ideas that come into my head. I have a brain dump spread for blog and video ideas in my bullet journal. That way when the writer’s block hits and I’m struggling for content ideas, I flip open my journal and pick a topic that I’d already written down, but hadn’t completed yet. Embracing the Chaos Laura’s blog is beautifully designed and she shares about her travels, marriage and many other things. And she has the most adorable German shepherd that she occasionally talks about! Travels of a Baby Vet: Jess is a vet in Liverpool and her blog is so fun and lively! She talks about her travels throughout Europe and Asia! She takes beautiful pictures too! The Hoppy Couple: This is such a fun blog! They review local breweries and are very informative, but it looks like they’re having so much fun trying new beers! Tiny Toes and Furry Paws: Shayla has a blog all about dogs! She is a dog trainer and shares valuable information for the 4 legged members of your family! And her pictures of her kiddos and dogs are so cute! Oily Life Ventures: Julie is a fellow Young Living Essential Oils user and she blogs about common oils, living a natural life and how to use oils in your everyday life. It’s very educational and inspirational! What do you want readers to gain or learn from your blog? What is your favorite quote and why does it inspire you? If you could sit and have coffee with anyone (dead or alive) who would it be and why? Do you think that blogging replaces or enhances journaling? What is your favorite way to stay motivated? What is your favorite part of blogging/writing? If you have questions about the Liebster award, you can check out the official site here! (Nominees, you can download the award image to add to your blog on this page) Thank you so much for the nomination Keari Kreative Style! And congratulations to the nominees!